A lovely Victorian terraced house just 1 km from Cork city centre, Higgin’s Bed and Breakfast is covered in ivy and it makes you feel to stay in a warm and secret place close to the Cork City Centre and with Breeda you will get a charming, helpful and warm host. 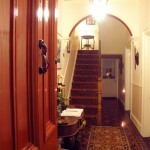 The house offers nice and clean rooms and the full Irish breakfast is fresh and delicious. 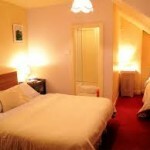 Higgin’s Bed and Breakfast is settle down in a cosy area, overlooking the lively city and is just 20 minutes from Cork Airport away and in walking distance of all amazing attractions. 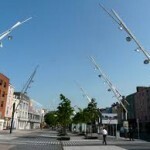 Cork City offers a more cosmopolitan atmosphere, with its art galleries and craft shops. Let’s start the city journey with a Tour of the finely detailed St. Anne’s Shandon, built in the 18th century, it houses the popular Shandon Bells. Visitors can climb the tower and, for a small fee, ring the famous Shandon bells. English Market, a covered fruit and vegetable market established in 1610 or visit the mysterious and scary Cork City Gaol and look through the brilliant Crawford Municipal Art Gallery. After that you can go at the top of the street, near Patrick Bridge, where is the Father Mathew Statue built, a monument to the founder of the Temperance Movement. Later in the afternoon you can chill out at Paul Street, noted for ethnic restaurants, chic bars, bookshops and trendy boutiques, Paul Street is the hub of the liveliest district in town. The fantastic Higgin’s Bed and Breakfast is also just twenty minutes' drive away from Cork Airport, making it a perfect place for travellers to rest and relax. Cross Patrick's Bridge from Patrick's Street, and turn right onto McCurtain Street. Continue along McCurtain Street until you come to the traffic lights, then turn left up Summerhill North. Continue past St. Luke's Church, and take a left at the crossroads. Take the second right turn, and continue uphill past The Ambassador Hotel.